John Philips children moved from Surry County VA to the Swift Creek area near Tarboro in Edgecomb County NC around the time he died in 1758. On this page you can see where they lived, how they spelled their last name in official records, and where they owned propery. The below Google map is interactive. You can pan around the map, zoom the map, and click on icons to learn more about what's at that location. 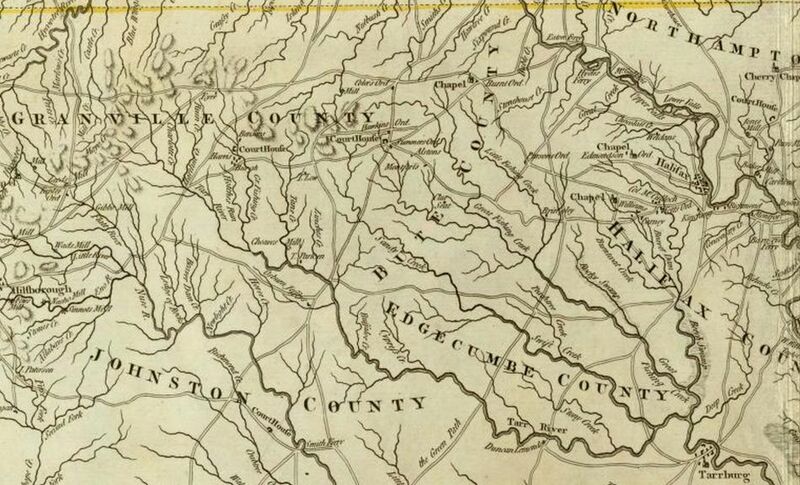 Below is a partial map of 1776 North Carolina showing the counties at that time. 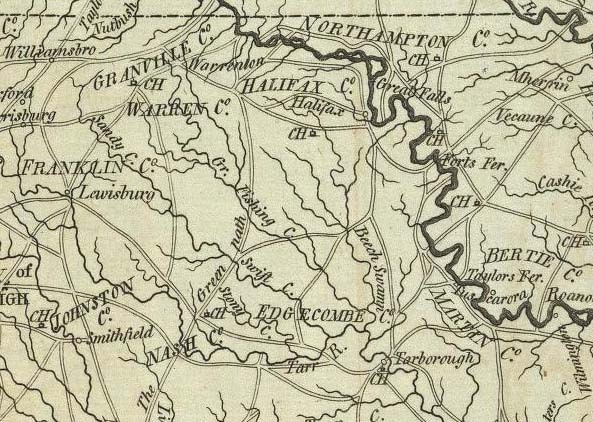 Below is a partial map of 1795 North Carolina showing the counties at that time. Below are links to maps showing historical counties in North Carolina courtesy of Carolana.com. It's an interesting web site that has a lot of historical information about the Carolinas.